As Dandy failed to update his journal 15 years ago today, here's another BunnyTune. Track 10 disc 1 of BunnyTunes 3. 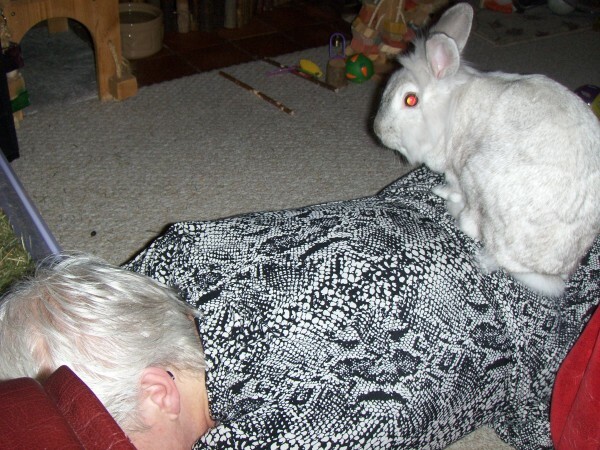 In the picture above, Arwen demonstrates the correct way to subdue a 2-foot, but I know that what you all really want is the BunnyTune, so here it is! She is indeed very comfortable to sit on. Elle est en effet très à l'aise pour s'asseoir.